When James Flynn moved to the UK from Ireland with his family at the age of seven, he could never have imagined in his wildest dreams that he would be spending the best part of his middle years on the other side of the world with a successful recruitment business and an impressive car collection. In the UK James’ father was not really passionate about cars, but when his business did eventually start to pick up, he bought his first Jaguar. This began Flynn senior’s love affair with Jaguars, and he was able to treat himself to a new model every couple of years. James also started to develop a real passion for cars but, ironically, American cars seemed to spark James’s emotions, even though it was a rare occasion to even see an American car on the road in the UK. James also developed a real passion for Aston Martins, which were right up there on his list of favourites because of the James Bond movies. James tells me that when he was growing up, watching 007 movies was the thing to do. He’s not quite sure whether it was the scantily clad girls or the Aston Martins that drew him to watch every one but, looking back, he concedes that the cars were certainly a major drawcard. James was always intrigued to find out which model of Aston Martin Q, British Secret Service’s research and development guru, would give James Bond in every movie. Actually, when Ian Fleming’s novel, Goldfinger, was published in 1959, Bond was given an Aston Martin for the first time. Prior to that he had been driving Bentleys. According to the book, Bond had been offered either an Aston Martin or a Jaguar 3.4, and chose the DB MkIII, even though either of the cars suited his cover as a well-heeled, adventurous chap with an unquenchable thirst for the good and fast things of life. Of course, 007’s MkIII included switches that instantly changed the type and colour of the front and rear lights, super-reinforced steel bumpers — just in case he needed to ram any unsuspecting villains — a long-barrelled Colt 45 in a hidden trick compartment, a hi-tech radio receiver tuned to a radio station called Homer, and an abundance of concealed compartments that would confuse the most meticulous customs agents. Naturally, when it came the movie version of Goldfinger, Bond’s car — now a more modern DB5 — received a host of additional gadgetry. According to the script, Bond was to escape with the car and then defend himself with it. To make this possible, the items ticked off on the options list included front and rear extending over-rider rams, front-firing .30 calibre Browning machine guns, retractable tyre-slashers, a retractable rear bullet-proof screen, concealed radio telephone, radar scanner, tracking screen, passenger ejector seat, oil slick ejector, triple spiked nails ejector, a smoke screen released through the exhaust pipes and revolving number plates (BMT 216A (UK), 4711-EA-62 (France) and LU 6789 (Switzerland)). After it became obvious that Goldfinger would become an enormous financial success, and with a huge number of requests to put the DB5 on display, Aston Martin decided to build two replicas for promotional purposes. These cars were equipped with additional gadgets — including a telephone that was installed in the driver’s door, a special reserve tank and a luxurious interior trim with antelope leather. 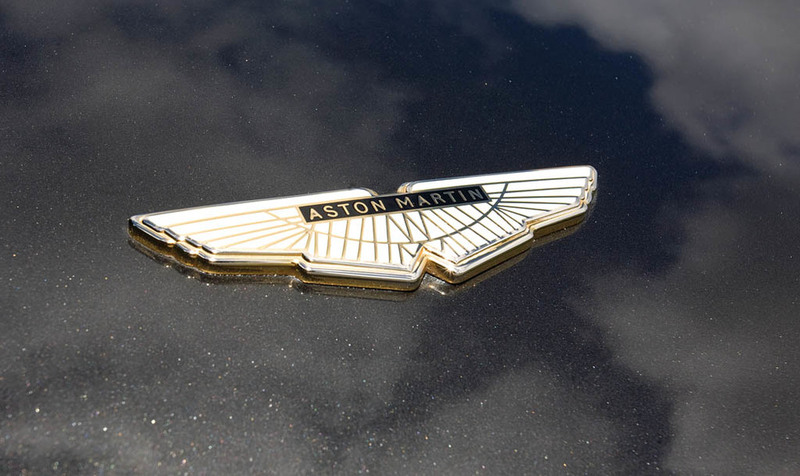 These vehicles have been exhibited at numerous motor shows and charity events, proving to be the best publicity-makers Aston Martin ever had. Yes, James Flynn remembers these movies all too well, and if the truth be told, he’s able to recite chapter and verse of just about every last one of them. When it came to buying his first car, James had to make do with an Austin 1100. Whilst not quite the silver DB5 he’d hoped for, it was a means of affordable transport until he found the next car that took his fancy. James reckons that if he saw a car he liked he would somehow try to find the money to buy it, much to his financial disadvantage at the time, and he confesses to owning more cars than he’s had hot dinners, the most notable being a MkI Lotus-Cortina. Sixteen years ago James arrived in New Zealand, a single dad with two young daughters and virtually penniless. He moved to Christchurch and quickly set up a recruitment and labour hire business, buying a fairly average Honda Accord for everyday driving chores. As time went by his social commitments with his two young daughters — varying from netball, dancing lessons, school and sports activities — meant that the pressure was on to buy a more practical vehicle, such as a more spacious 4X4. At that time their favourite weekend outing was to visit Jack Rabbit Slim’s restaurant. The attraction was a Lincoln Continental convertible which had been transformed into a dining booth, and James would treat the girls every weekend by taking them to dine, sitting in the Lincoln. The girls loved sitting in the big old car and often asked their father if, one day, he could get a car without a roof. The following week, James was out looking to replace his beaten up old Honda with bigger vehicle. A Toyota Surf or a Pajero perhaps, something practical, something more befitting his family lifestyle — then he spotted it. There it was, pristine, sitting gleaming in a used car lot. Was it practical? No! Did it suit his lifestyle? No! Was it vitally important that he have it? Yes! Naturally, James’ first instinct was to ‘just take a look’ purely out of curiosity. At this point you’ve probably figured out the rest — James fell in love with the car and bought it on the spot with his 4×4 money. Within a few hours James was off to collect his youngest daughter from kindergarten in his new, gleaming white 1965 Mustang convertible. At just three years old, James’ daughter was so excited that by the time they got to the older daughter’s school she just had to let everyone in the entire school know that her daddy had just got a car with no roof by running around screaming it to everyone. James still owns the car today and would gladly give up every car in his collection just to keep it. In fact the girls, now teenagers, have claimed it as part of their inheritance, so I suspect that the Mustang will remain with the family for many years to come. Seven years ago, James and his family moved to Auckland along with the Mustang. By that time, he had finally bought a Toyota Surf. With his business, Coverstaff, now prospering, the next opportunity to buy another car was for his new wife, Dina — he bought her a BMW X5. From then on, James decided he would focus on a few of the cars that he had always dreamed of, and start a collection of his own. With business rapidly expanding, James also needed to appoint a general manager and, once the final candidate had been selected, James asked her what would be on her wish list. He was surprised to learn she had always wanted a 1947 Ford Jailbar. Shortly after that, James just happened to spot a Jailbar while passing through Masterton and literally bought it on the spot. James had it painted in his company’s red colour scheme, presented it to his new general manager as her company vehicle, and has subsequently gifted it to her. With his passion for American cars now growing stronger, James decided to buy a 1967 Chevrolet Camaro. The car was given to Jason Hansen and the team at Auto Colour Matrix, who transformed the Chev into one of the wildest custom street rods you’re ever likely to see — it has featured in our sister publication, NZV8 magazine. Although Auto Colour Matrix has performed miracles with this car, turning it into one of the country’s best, James vowed he would never build another car of this type. He reckons handing over the money for either a new or restored car is a less costly and time consuming exercise. 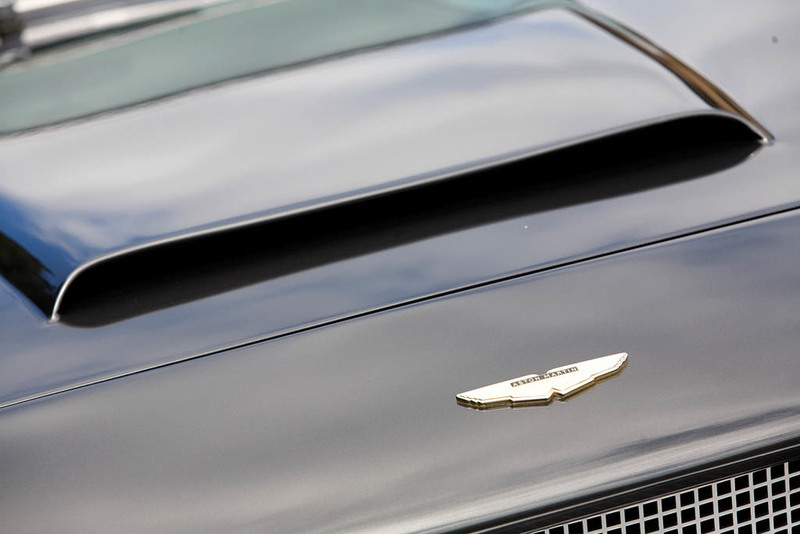 The clue to James’ new direction came about when, during the build of the Camaro, he decided that he wanted a ‘start’ button instead of a key for the ignition, and chose to use one from a new Aston Martin. After a quick visit to the local agent, Independent Prestige, to explain the project he was working on, he was overwhelmed by the level of service and commitment he received from its employees to provide the correct part which, at the end of the day, cost only a few hundred dollars. James promised he would continue to do business with them in the future. While visiting Christchurch with his daughters, James visited Fazazz and, to his delight, there was an Aston Martin DB5 on display — and for sale. This car brought memories of 007 movies flooding back; although James knew the car’s price tag was far beyond what he was prepared to pay at the time. As it happened, Fazazz also had a 1973 DBS V8 tucked out the back in what James can only describe as a sickly gold colour with an equally sickly green interior. But James could see beyond the garish colour scheme and was drawn to the car’s aggressive stance. And it was an Aston Martin! James handed over the money in what he describes as a moment of insanity. The next question was — ‘Is it good to drive to Auckland?’ The answer was a positive yes, and within a couple of days the DBS was parked in James’ driveway. Until this point, Dina had never really approved of her husband’s taste for American cars and when she spotted the Aston, she rapidly approved of his purchase, believing he had finally come to his senses and gained a touch of class — although the gold and green colour scheme had to go. James had already spoken to Independent Prestige, and was expecting the DBS for a complete check over. 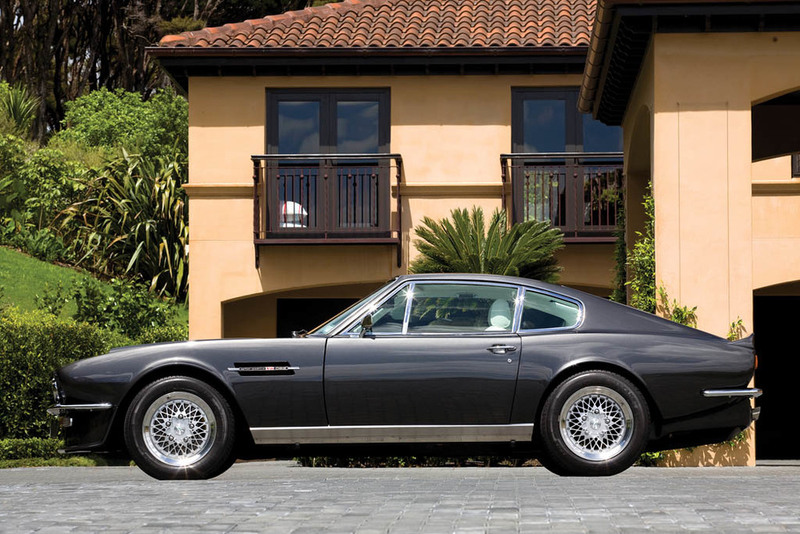 Unfortunately, there was a slight technical glitch — the Aston’s rear suspension completely collapsed on the way over to Giltrap’s workshop — at 6.30am — and it was necessary to load the stricken DBS onto a transporter. Just as well James was in slow traffic when the suspension let go — a day earlier he was hurtling along the Desert Road at, let’s say, a tad over the speed limit. From Drive Car to Project Car¨While Independent Prestige was performing its assessment of the DBS, it didn’t take too long to conclude there were some major issues — with virtually everything — and things weren’t quite as good as James had originally thought. It seemed that the more the mechanics probed, the more they found wrong — as well as the suspension, they also uncovered problems with the Aston’s brakes and air conditioning, as well as various other mechanical maladies. James decided the only solution was a complete restoration, something he had been trying to avoid. After an exhaustive process of elimination, visiting several of the country’s leading restoration shops, he finally chose to give the DBS to Jason Hansen, at Auto Colour Matrix, for a complete rebuild. Not only was James familiar with his work, he also discovered that Jason had experience with European cars, which is not something you normally associate with Auto Colour Matrix, as its specialty appears to be rebuilding American cars. It wasn’t long before the car was entirely stripped and prepared for paint. All the mechanical components were completely refurbished back to original specifications. Work on the drive-train, suspension and brakes was handled by Independent Prestige while Jason concentrated on the body and interior. Unfortunately, James was away overseas for virtually the entire rebuild and spent many sleepless nights pondering the car’s progress. But it was in good hands, and the chosen team worked strictly to the brief laid out by James. That was until he received a phone call from Jason to say the exterior paint colour James had specified — Anthracite — looked almost black, and they were ready to start spraying the car. James knew the colour he had chosen was definitely not black, and did not want to arrive home to an Aston Martin in an unwanted colour. However, a decision had to be made and, reluctantly, James told them to apply the Anthracite paint. Fortunately, Jason’s misgivings didn’t arise, and the colour turned out to be perfect. A quick call to James once the car was painted to say it look absolutely fantastic finally put James’ mind at rest. To make matters worse, James’ trip was extended for another month and he was champing at the bit to get back to Auckland. 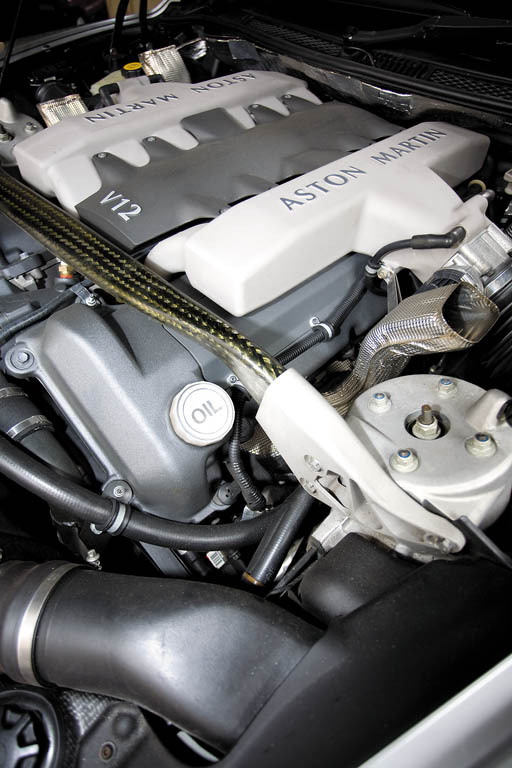 Six months is a long time to spend away from home, but only a very short time to completely restore an Aston Martin DBS V8 to concours standard. 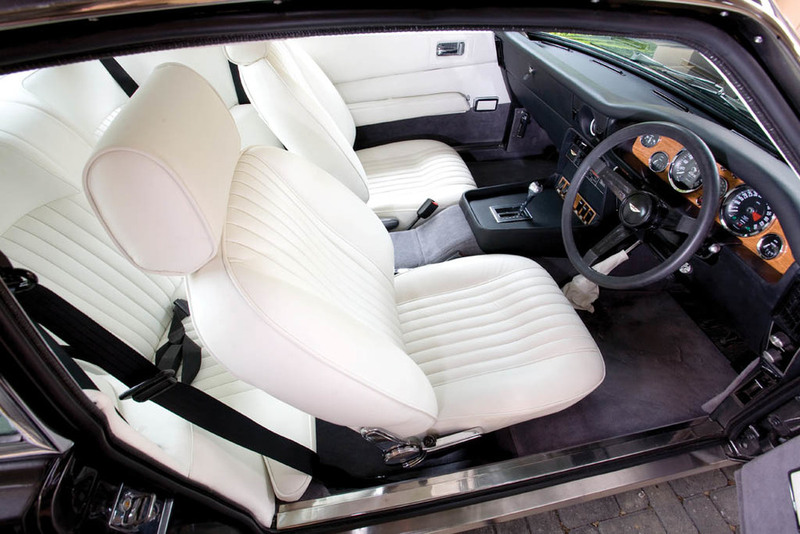 When James arrived home, he was astounded at the amazing transformation and level of workmanship that had gone into the car. Auto Colour Matrix and Independent Prestige had pulled through to deliver a truly remarkable restoration, one that James is extremely proud to own. A few months later, a friend of James — one employed in the repossession business — contacted him to say that a 2003 Aston Martin Vanquish was available, and suggested he might like to take a look at it. Given James’ reputation for ‘taking an inquisitive look’ at cars, it wasn’t rocket science to figure out that once James saw the car, there was a more than likely chance that he would end up driving it home. Well, not until he’d made the finance company concerned an offer it couldn’t refuse anyway. After a check of the service records from Independent Prestige, he was the proud owner of yet another magnificent machine. Brawnier than an All Black front row, this serious supercar is sleek, fast, and more than capable of taking on its rivals Ferrari and Lamborghini. Now you might think this story ends about here, but it doesn’t. Why? Because James is at it again. James is a beggar for punishment, and his new project is another wild custom car — a 1937 Ford coupe — currently being built by Auto Colour Matrix, and if past builds are anything to go by, then you can bet your bottom dollar that it’s going to be spectacular. There’s also a spare space in the garage, and when I asked James about it he said that an Aston Martin DB5 is still very much on radar, and with a milestone birthday looming closer the odd hint has gone out to Dina.